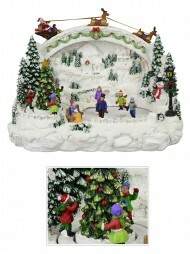 You do not need a huge amount of time and effort to create the feel of a special winter wonderland in your home or workplace. 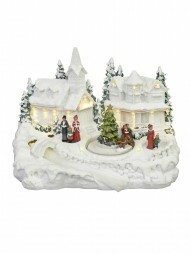 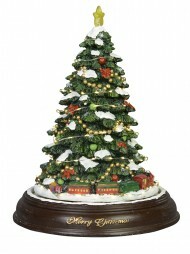 We have a stunning array of quaint atmospheric Christmas village scenes to bring that frosty magical touch instantly. 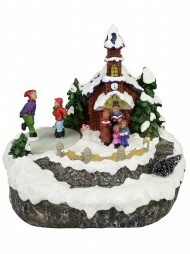 Our scenes feature homes and churches, trees and lampposts with dustings of snow. 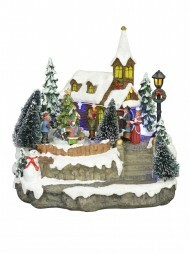 Fibre-optic features create a sense of warmth in the homes, while other homes are lit from within. 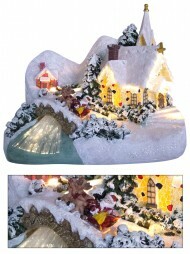 Some houses have features that are animated, moving parts, or sparkling lights and decorations to enhance their beauty and attraction. 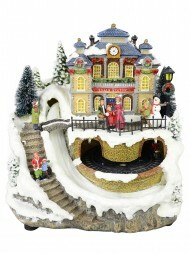 All evoke that sense of European or old English village charm. 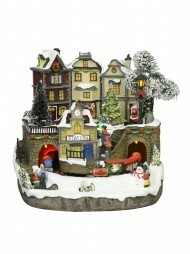 Have your own village scene in mind? 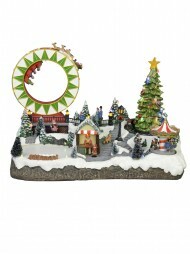 Purchase individual pieces and design your perfect Christmas neighbourhood using our little figurines and range of buildings. 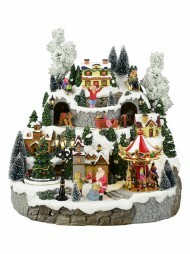 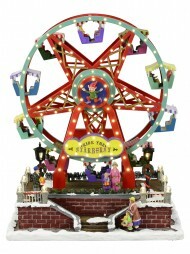 Build up your collection over time and create a wonderful Christmas town that grows and changes year by year. 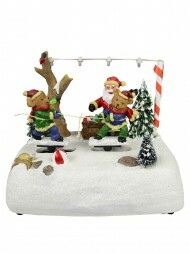 Bring the joy and imagination into someone else's home, by giving these as a gift to that special someone in your life. 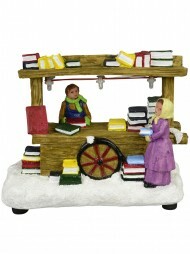 Have you someone difficult to buy for? 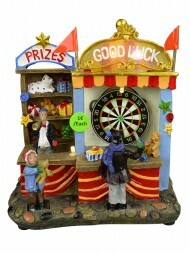 Start them a collection of treasures that will remind them of you, and of happy times whenever they see them. 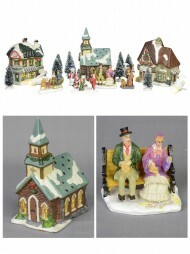 These nostalgic delights are great value and constructed of sturdy polyresin so they'll last well. 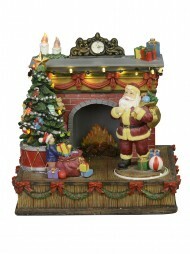 Just perfect nestled by your Christmas tree to oversee those Christmas stockings hanging in the lounge, as the highlight of your store display, or simply to turn that summer heat into winter warmth. 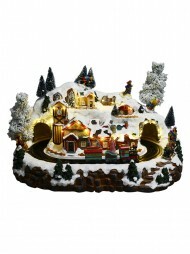 If you'd like to go that extra mile with your Christmas decorations this year, why not create a little warmth and glow with a Christmas Village scene? 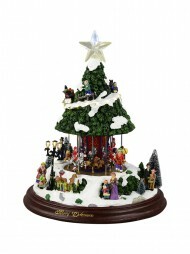 If you like these might also like to visit our nativity scenes.